Photocopiers are one of the finest multi-faceted devices which brings about numerous advantages to the organization as it accommodates multiple functions such as the Xerox, Scanning, Printing, Photostat to name a few. Photocopiers though being a multifunctional device, it brings about an expensive price tag which really becomes a vulnerable device for any organization to procure. In this, endeavor photocopier rental becomes the most preferred entity for most companies today as it can be brought to use almost instantly and has proven to serve the very purpose of using the most advanced photocopier at the client side. In today’s generation, numerous companies do prefer a multitasking copier for their premises and towards this, the photocopier becomes the ardent choice for many entrepreneurs today as it brings about the multiple functionalities in a single unit and they are generally considered to be very cost effective when taking multiple prints as compared to the printers. Enhanced printing capabilities: It goes without mentioning that network photocopiers are designed to handle more complex and larger printing task which cannot be done conventionally on a local printer. As a user, one can visually find the photocopiers functionalities towards their inherent printing capabilities, their speed and their paper handling capabilities. 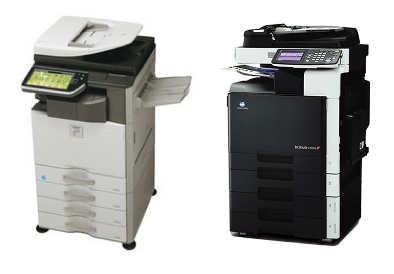 Photocopier on rent saves a significant budget on the maintenance: One of the advantages that a rented photocopier could bring about is the type of maintenance that it is being bestowed upon by the rental companies. As a matter of fact, many companies spend a good amount of budget in the maintenance activities. Orientation of rented photocopiers in an organization: Photocopiers are the easiest tool to handle and many employees get to know about the photocopier within a less time. In the event that they are looking forward for a basic understanding, the rental companies could always give them a remote orientation so that their job is done. Photocopiers can work remotely: Photocopiers when functioning over the network becomes a preferred device for the users who are trying to take the print remotely. This way the printers can be connected to the network and send the documents almost anywhere. VRS Technologies have always been spearheading itself towards this endeavor and have been able to leverage on the most advanced photocopier to the customers who are looking forward to more printing jobs at their end. In the event that you are looking forward for a photocopier to rent, please approach us at VRS Technologies and call us at Call Us 00971555182748 or 04-3866001 so that our service team could get in touch with you for your initiatives. Please visit our official website at www.vrscomputers.com for more information about the photocopiers.